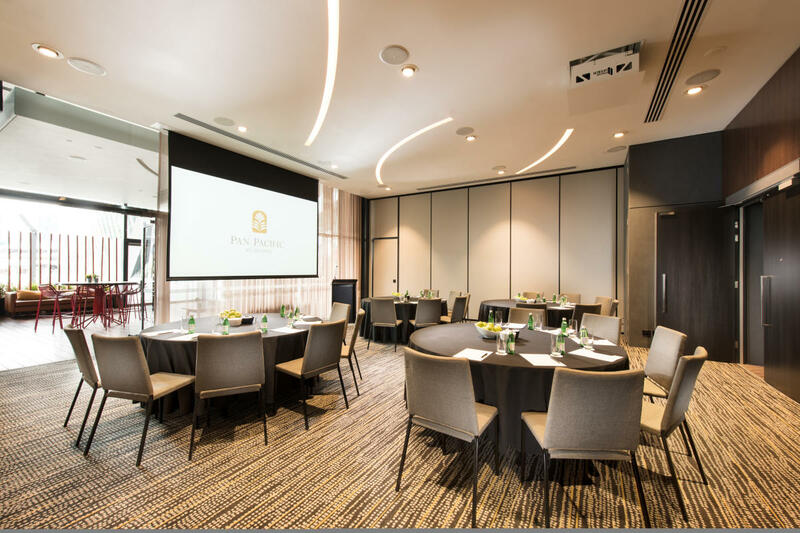 Located along the vibrant South Wharf in Melbourne, Pan Pacific Melbourne has recently completed a refurbishment on all accommodation rooms, lobby and our exclusive Pacific Club lounge. To coincide with this, the hotel has launched great value packages. Book the Stay and Meet package and rejuvenate in newly refurbished rooms inclusive of breakfast and Wi-Fi. Additionally, enjoy a host of benefits such as arrival tea and coffee, sit down buffet lunch at Dock 37 Bar & Kitchen as well as morning and afternoon tea selections. Alternatively, energize delegates with barista made coffee by upgrading to the Day Delegate Barista package. Enjoy unlimited barista made coffee on arrival, morning tea, lunch and afternoon tea sessions. Delegates can also take advantage of a discounted self-parking rate at the DFO Shopping Centre, which is located next door to the hotel as well as refresh with 24-hour fitness centre access. Minimum numbers, minimum spend and terms and conditions apply. To request a quote or site visit, please speak with Pan Pacific at +61 3 9027 2000 or email events.ppmel@panpacific.com.